I remembering various trips to nursing homes as a kid and developed uneasy feelings about them for various reasons. As a result, I always thought it preferable to live in my home until I died, and so with my parents. That was until several years ago I noticed my father was changing: falling several times, becoming more anxious while driving, and depending more and more on my mother. My mother was slowly becoming his full-time caregiver, but as she was approaching her eighties, she was beginning to worry how long she could continue in that capacity. After more than seventy years of living in their own homes, she thought maybe it was time. But how could she know for sure? To add, they’ve lived in their own home for decades and saw no reason to move, but I noticed they were nervous about break-ins to homes and cars there that were getting more frequent. Also, though our old neighbors weren’t their best friends, they had died. We added some railings to my parents’ bathroom, but my father fell there on different occasions in spite of them there. There is great danger in the bathroom for elder people. My mother’s back was hurting more and she complained of going up and down the stairs to wash clothes, (something my father couldn’t begin to do). So at what point does one consider an assisted living facility? After the next fall? After the next break-in? The point is, like my parents, many don’t make these important decisions until a crisis occurs. My father continued to fall, and that’s when my parents said: “no more”, and in a hurry, they had to sell their house and look for the first available spot in a good assisted living. This was a great stress on my sister as well who had to fly in on several occasions to help them out. Don’t Wait. Take these five points to discuss assisted living facilities with your parents! When I finally saw the assisted living center my parents moved to, I was really surprised. It was more or less like a chain hotel (like Drury Inn), including coffee in the lobby, but without the pool. I think if they had seen the center sooner, years sooner, they would have made plans well ahead of time to avoid the crisis we faced. Still, you don’t want to tell your parents: “Mom, Dad, you need to go today!” That would be a shock. I’d approach it more on a first-person basis, for example: “Dad, remember I told you I wouldn’t ever leave my home when I retire? Well, I think I changed my mind because I think I’d rather take it easy in an assisted living place. I saw one on TV and it looked pretty good.” You can make your own best approach, but that’s the one I should have used personally. Repairs: My parents basement flooded, and they noticed that there were some roots growing from their front yard tree into the pipes. This was a multi-thousand dollar repair, and worried my father to pieces. My parents knew good repairmen and plumbers. For other homeowners, unfortunately there are some bad players who would take advantage of their trust. Like in an apartment, your parents won’t be responsible for repair. If something doesn’t work properly, they or a loved one can alert the administration and the problem should be fixed. There’s no worry about the senior letting in a stranger to fix their bathroom pipe or getting bilked on the bill. The neighborhood I grew up in was very safe, and my parents continued enjoying their neighborhood. But more and more there had been break-ins around the neighborhood. Cars were also being broken into. The neighborhood was becoming less safe. Both my parents worried about every strange noise they heard at night. One undeniable positive point about independent or assisted living places is safety. Many centers have a monitored entrance so random people can’t walk in. In addition, a person usually is stationed at the welcoming desk where a required check-in is customary. The people on duty are always a phone call away if residents have any kind of emergency. Many centers also have their hallways monitored. It has been years since my mother cooked me a meal. She just got tired of it, and her hands hurt from arthritis. Washing dishes, lifting pots and pans, cutting food—all that hurts. Nutrition takes a hit when the cooking stops. 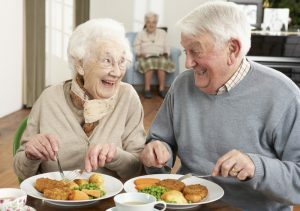 But in their assisted living place, they take care of at least 2 or three of the meals, and this is done in a very social setting. My father wasn’t very social but I see how he perks up when friends come by to eat with them now. They do have a little kitchen in their room though for breakfast or lunch when they aren’t too hungry. My mom likes the fact that she can go with her friends to shop now with the center’s van. She also doesn’t have to ride with my father who became very nervous while driving. It would be tragic and ironic that they would crash on the way to a doctor’s appointment! Plus, the service is included in their fee. My mother has never had so many friends. She had several visitors from her old job come by occasionally, but now she enjoys a daily visit with a large number of friendly people—she’s quite popular now when she used to be shy! 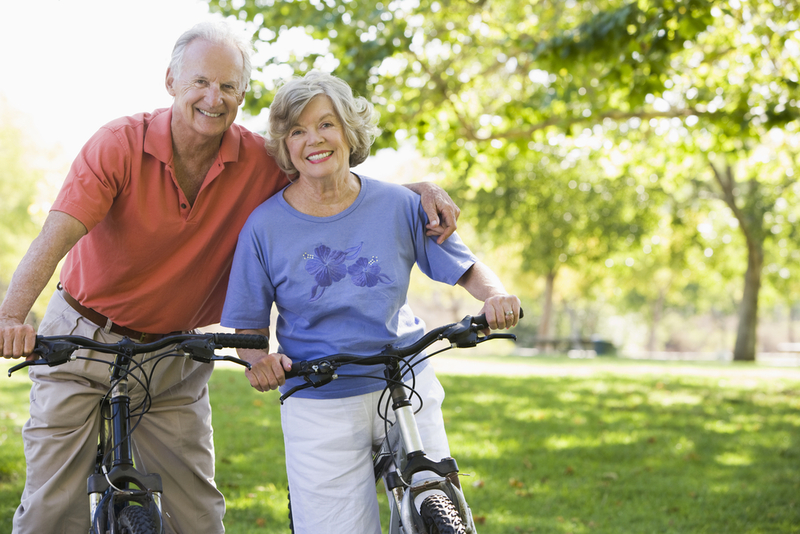 The point is that with age, your elder parents can become more sheltered and isolated. This has been shown to be detrimental to elder people’s health in many areas, especially cognitive and emotional. Some independent or assisted living centers require large down payments or retainers. However, in another light, these centers could save you more money in the long run by keeping your parents healthier, longer. With better safety, exercise facilities, and better nutrition, they could avoid going to the nursing home or requiring home care at a much earlier age. Planning ahead of time is the key solution. Loss of total independence. Most people don’t want to leave their homes. After all, they worked all their lives just for the opportunity to relax after retirement and be in complete control. Others don’t want to socialize much, they enjoy the company of their wives or husbands just fine. This would be very sad to have to leave a good friend with another relative or even the animal shelter. Some large dogs in particular aren’t welcome in assisted or independent living centers. Synchronicity: If one parent’s condition deteriorates, he may need to move to a nursing home while the other stays in the independent or assisted living center. Some center’s don’t have a nearby nursing home to transition to for the spouse to easily visit. This also would lead to yet another life change for your parents, and a costly one. Next PostShould I Become a Family Caregiver? Find the perfect in-home healthcare solution for your family, FREE. Should I Become a Family Caregiver?